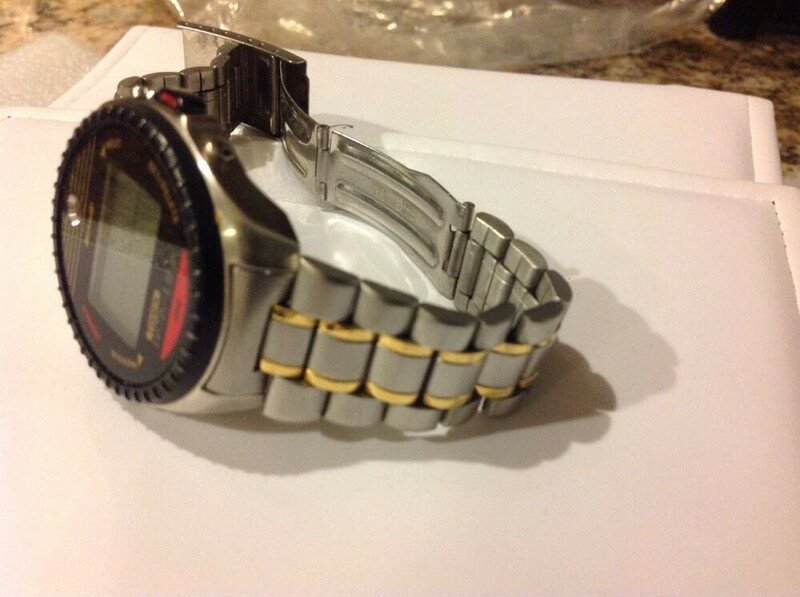 Did you know: Microsoft and Timex made a smart watch... in 1994! History holds many surprises for technology fans, and no, we're not talking about stuff like desktop computers drawn on the walls of Egyptian pyramids. 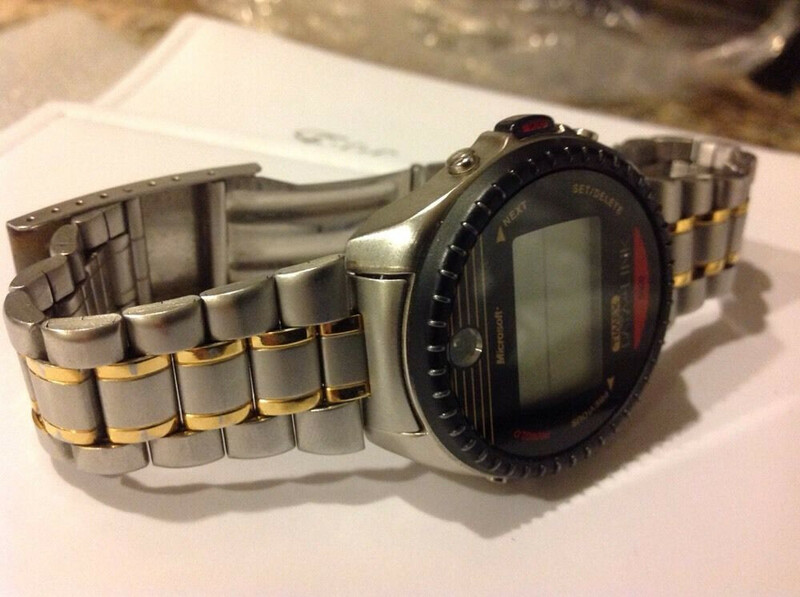 What if we told you that we already had smart watches all the way back in 1994? Complete with geeky design, display, and software for PC synchronization? Boggles the mind! Such is the story of the Timex Datalink 150, a collaboration between the watch maker and none other than Microsoft that's earned a bit of a cult-like status for itself over the years. The Datalink 150 is the last model in the Datalink line, which Timex and Microsoft introduced as a wearable alternative to the PDAs (personal digital assistant) of the day. They improved on PDA's capabilities by adding water resistance, easy programmability, and being wrist-worn, of course! The number '150' meant that the smart watch could store up to 150 phone numbers in its memory, although the memory was shared with appointments, anniversaries, lists, wrist apps (indeed! ), and watch sounds, meaning that number could quickly fall. A few example applications one could load on the "MS smart watch '94" include a simple chronograph (stop-watch), a notepad capable of storing 40 words, and a Space Invaders clone. Over the years, developers came up with additional video games, screen savers, golf score keepers, device adjustment tools (display contrast and scrolling speed adjustments), moon phase calculators, and other good stuff – lovingly written in assembly language! 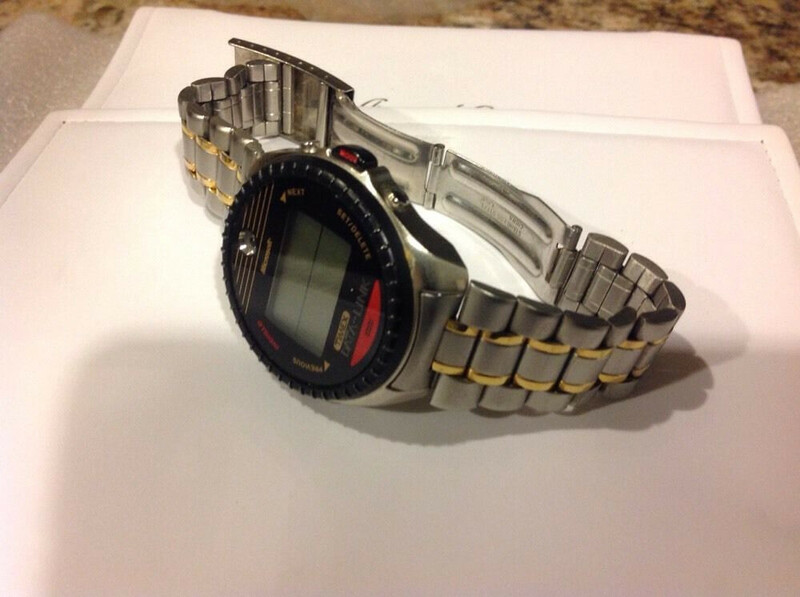 But having primitive apps wasn't nearly the coolest part about those Timex watches. Just wait until you learn how the Datalink 150 sync'd up with whatever Windows computer you had in your household! 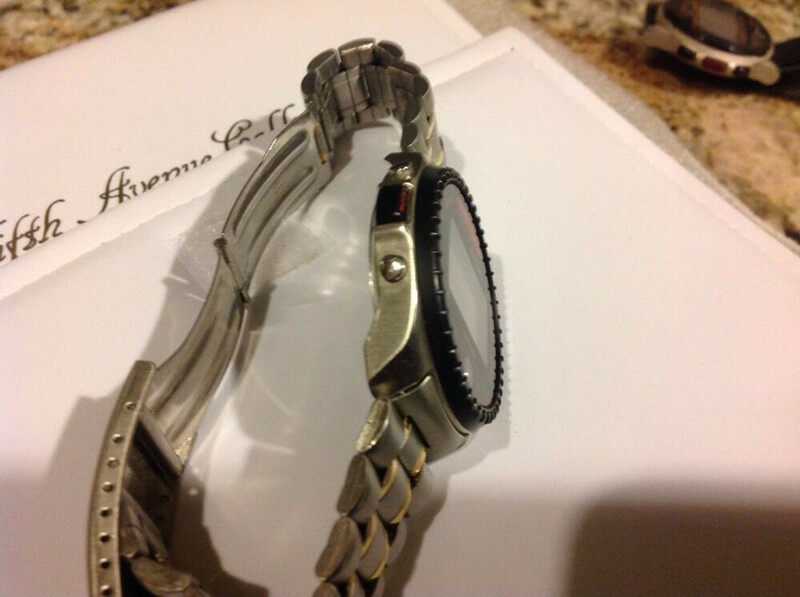 See, the watch featured a small optical sensor on top of its watchface, which was used for data transmission via light from your computer's CRT monitor. Yup, that's how they did it before USB! Basically, the synchronization software made the monitor emit a series of pulsating horizontal bars, which the optical sensor scanned and delivered straight to the watch's EEPROM memory. Sounds pretty sci-fi, right? Surprisingly, the method worked faster than you probably imagine it – the Datalink 70 model took about 20 seconds to download 70 phone numbers to its memory, which sounds pretty decent by early 90s smart watch standards. The Windows software used to sync the wearable. That's not even the last layer of cool for the Datalink series, though! On the Timex Datalink 50 model 70301's resin strap, there is a print with binary numbers which are actually ASCII code. The numbers on one half of the strap represent the text 'Listen To The Light', while those on the other half of the strap read 'If You Can See'. That's some cryptic stuff right there! And arguably the coolest bit is that Bill Gates himself owned a Datalink 150. But that's to be expected, given the wearable had the Microsoft logo on its watch face – front and center! 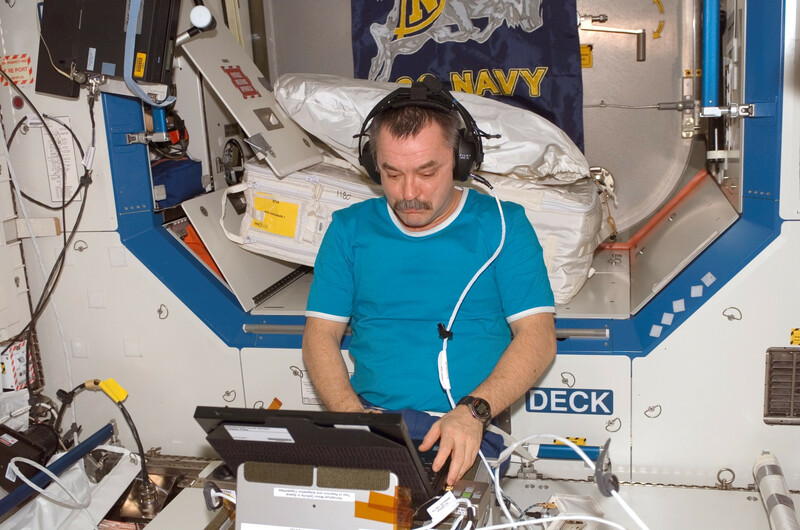 Cosmonaut Mikhail Tyurin wearing a Datalink 150 model in January 2007. Nope, we're kidding. That was only the second-to-last coolest part. The most awesome thing about the Timex Datalink 150 and its brethren is that they are flight-certified by NASA for space missions and were used by the Expedition 1 crew on their 136 day stay aboard the International Space Station (November 2000 – March 2001). It was the first long-duration stay aboard the ISS, and a landmark achievement in aerospace efforts. Although the Datalink watches look like overly ambitious "Casios on steroids" from today's perspective, they nevertheless have a cult following even today, with websites and groups dedicated to programming the wrist tockers still going strong. Although it may look primitive compared to the Apple Watch, the Datalink watches were certainly very ahead for their time! Only thing Microsoft lacks is blind followers. Nice lie! Apple did it first, they're the first to create everything. They made the first mp3 player, the first smartphone, and first tablet. Microsoft is just a copy cat. Sarcasm hahha! ifans would buy a pile of turd if sold by apple! and apple haters wouldnt buy an iOS device if they were dying and their life depended on it... how is that different?